Linda Ketterling has an upcoming Majolica show and sale in Texas. 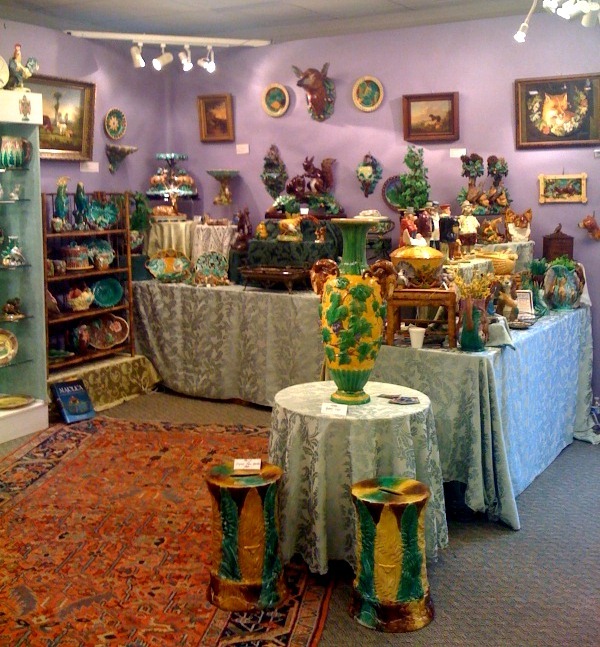 She will be exhibiting at the Marburger Farm Antique Show in Round Top, Texas on October 2-6, 2012, Booth Cc7, Tent C. She will be bringing over 250 pieces of majolica with her usual broad selection of botanical and naturalistic pieces as well as an emphasis on animal-themed pieces. Linda hopes that many of the local MIS members will be able to stop by and see their inventory. For show info, the website is www.roundtop-marburger.com or feel free to contact me at LK424@aol.com or 419-377-2438. Linda would be happy to send out preview photos if anyone is interested.